Here at BATRIBIKE we are actively seeking new Stockists of our range of Battery Powered Electric Bicycles and Electric Tricycles. 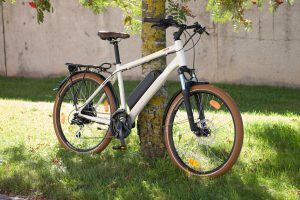 Our experience over the last few years has shown us that many prospective customers would prefer to buy their Batribike Electric Bicycle from a local shop which can help them select the right model for their requirements. They also feel reassured by having a local after sales contact for future service requirements. 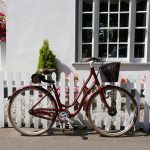 We are actively seeking professional Independent Bicycle Retailers and stockists to widen our reach across the UK. Exclusive areas are available in many of the major towns and cities across the UK. Once we have appointed a Dealer, provided acceptable levels of business are achieved on an ongoing basis, we will not appoint any other Dealer or Stockist within at least 10 miles, (with the possible exception of major areas of dense population). In smaller towns and more rural Counties, larger areas may be granted by mutual agreement. We ask our Dealers to stock at least one of each of our three main Electric Bicycle models for demonstration purposes. Our Electric Tricycles may also be stocked at the Dealer’s discretion. We offer a next working day delivery service via courier for stock replacement. We pride ourselves on our level of support to Dealers. This includes Technical Training, where required, and Full Parts Backup. Technical advice by telephone is available from 9:00am to 5:00 pm Monday to Friday, except Holiday periods. We actively promote Batribike retailers on our website and through the shows and events that we attend. The above is intended as a guide only and actual Terms & Conditions are formed on an individual basis by mutual agreement with each new Dealer.